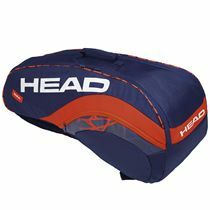 The Head Radical Combi 6 racket bag provides ample storage space for a competitive player wanting comfort, functionality and a slim shape with impressive, attention-grabbing design. The bag accommodates up to 6 rackets in its two spacious compartments and has two side zipped pockets for your accessories and valuables. Thanks to a backpack carry system, you can carry the bag with ease and Climate Control Technology+ in one of the compartments helps to protect rackets from extreme temperatures. for submitting product information about Head Radical Combi 6 Racket Bag SS18 We aim to answer all questions within 2-3 days. for submitting product information about Head Radical Combi 6 Racket Bag SS18. We aim to answer all questions within 2-3 days. If you provided your name and email address, we will email you as soon as the answer is published. 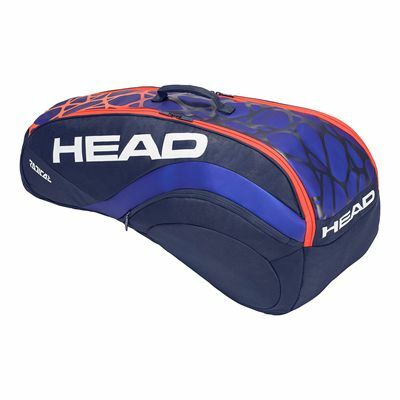 for submitting product review about Head Radical Combi 6 Racket Bag SS18.